If you’ve been reading the news of late, you’ll have noticed an increase in stories about children who are being hurt, abused or abducted. When confronted with these stories, you get angry. After that anger subsides, it’s hard not to feel helpless because South Africa is full of children who need your help, but it’s not always easy to identify the right channels. So you continue commenting on Facebook or sharing posts, but at the end of the day all this does is tell your friends and family what you’re upset about without actually changing anything. Good news – it’s actually really easy to be proactive, and have a direct influence on a child’s life and wellbeing. Take the Maitland Cottage Hospital, for example. Maitland Cottage Children’s Orthopaedic Hospital is one of two paediatric orthopaedic hospitals in South Africa. Their facility specialises in the medical and surgical treatment of children with physical disability, due to disease or accident. The hospital has 85 beds and a full operating theatre, and more than 550 operations are performed every year. Kiff Bru Projects have put together a wishlist of things that the hospital needs, from small items like toiletry basics right through to donations towards bigger items like new transport. Their current vehicle is 10 years old and maintenance costs are increasing exponentially. Do you want to buy a child in need a few dinners? Done. Or maybe you want to snap up some school supplies to brighten a child’s day – easy. With Kiff Bru Projects, you know exactly where your donation is going, whether that’s helping to maintain a young girl’s dignity with a toiletry package or assisting the hospital to save water. You can also get your friends involved. Instead of a bunch of birthday gifts that you don’t really want or need, you can create a registry that friends and family donate to, with all of the proceeds going to a Kiff Bru Project cause of your choosing. It’s also a cool way to do something unique and kind at your wedding, office party, or end of year get-together. Forget the weirdness of Secret Santa, because nobody likes shopping for that colleague they barely know, and donate as an office instead. No more fretting over gift ideas, and knowing that what you buy is more than likely going to end up gathering dust anyway. 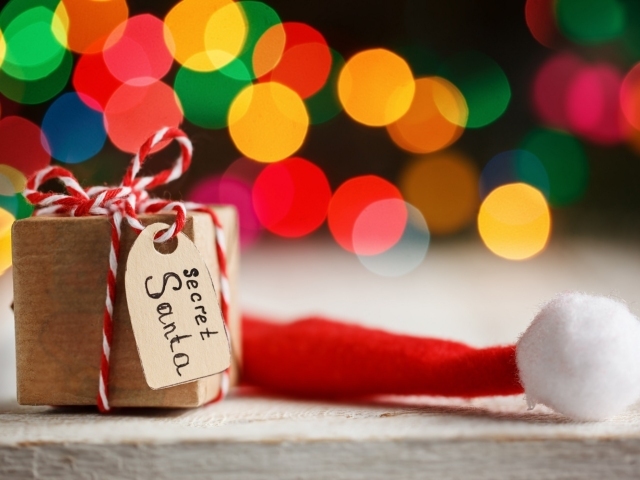 Office Secret Santa – donate to a worthy cause, and consider your workspace karma boosted. You still get to post about your good deeds on social media, only this time it’ll be effective. Kiff Bru Projects also works with the Animal Anti-Cruelty League and the Ukama Community Foundation. If you needed a reminder that being kiff isn’t all that hard, consider this that reminder. ← Who’s The “Rich Bloke” That Saved Jake White’s Job Before The 2007 World Cup?